Your dryer vent is a hidden danger in your home. Did you know that thousands of fires occur each year because home owners forget to maintain the areas of their home they don’t see every day? 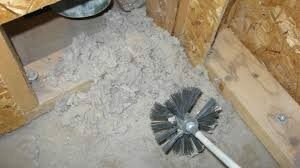 Your dryer vent is full of lint and debris that your dryer screen doesn’t catch. In fact, your dryer screen captures only about 60% of the lint from your clothing. The rest, goes into the dryer vent and begins to accumulate over time. This accumulation will begin to make your drying process longer due to inadequate air flow and backing up dryer exhaust gases, creating a fire hazard. 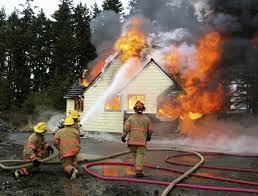 By having a dryer vent cleaning you help prevent a fire in your home or business. Convenience has added to this overall problem. Homes are being designed with the laundry room inside the home causing the need for a longer vent. The longer the vent, the more difficult it is for the dryer to get the lint out. Homes with longer vents are more vulnerable to fire. The longer the dryer duct the more often you need to have a professional dryer vent cleaning. Experts recommend hiring a professional for vent dryer cleaning. Professionals have the tools and equipment necessary to thoroughly clean your vent. It is also recommended that you have your vent cleaned annually to lower the risk of fire. The safety and security of your home and family is your number one priority. Keep them safe by having your dryer vent cleaned. Copyright © Reliable Air Duct Cleaning And Restoration Services 2016. All Rights Reserved. 3 dispatch locations to serve you. This website claims no credit for any images posted on this site unless otherwise noted. Images on this blog are copyright to its respectful owners. If there is an image appearing on this blog that belongs to you and do not wish for it appear on this site, please E-mail with a link to said image and it will be promptly removed.